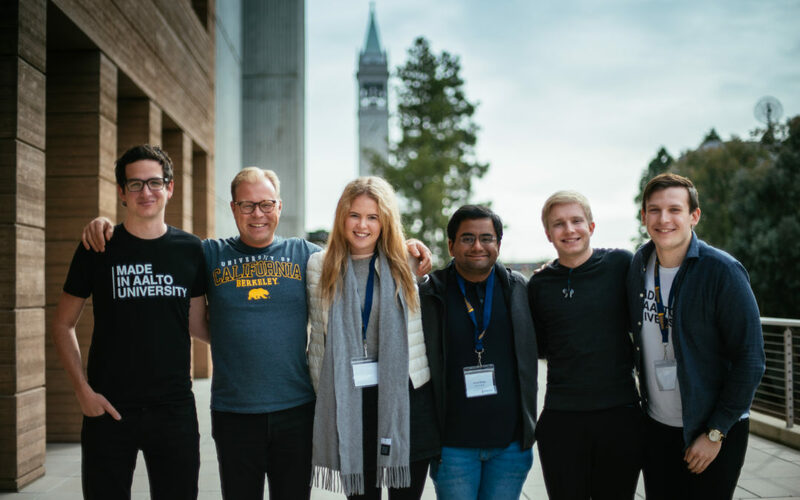 Getting some fresh perspective and meeting new people is always worth the travel and this time we sent four AVP students to attend the fantastic Berkeley Methods of Entrepreneurship Bootcamp in California. The intense 4 1/2 day venture workshop, hosted by UC Berkeley’s Sutardja Center, is a bi-annual bootcamp that facilitates immersive learning for new venture creation. The workshop was a truly one-of-a-kind experience and an amazing chance to get to know the methods, ideas and people of Silicon Valley. The program was packed and included educational lectures, interactive game-based exercises and one-on-one mentoring from Sutardja Center faculty and industry experts. All this prepared students for ideating, validating and launching new startups. The learned skills were put to test as the week culminated in a pitching competition where 30 teams presented their venture ideas for industry expert judges in hopes of bringing home the Best Startup prize. We very proud of the winning team Betwork especially as it included one of our AVP students, Márton Elődi! Congratulations! ”The BMoE bootcamp is all a young entrepreneur could ask for! Working hard for a week with diverse, inter-disciplinary teams on problems worth solving is not only fun, but also a great way to acquire all necessary skills to run a startup later on. Thank you for all of our students and the organizers for the great bootcamp!